Looking for a new side hustle that puts your knowledge of languages to good use? These days, progressively more people are living, working and traveling internationally. Consequently, more and more people are committing to learning new languages—and for good reason! As the world “shrinks” in a sense, the need to effectively communicate across languages grows, both professionally and personally. Schools are heeding the call, with many adding foreign language credits as a graduation requirement. And as the business world expands, big companies like Apple and Amazon are looking for bilingual and multilingual candidates more than ever. In fact, the Bureau of Labor Statistics listed interpreters and translators as one of the top 20 fastest-growing occupations in 2014. But here’s the best news: If you have other career dreams, that doesn’t mean your language skills have to go to waste. Rest assured, there are many attractive and creative options that can comfortably supplement full-time work, make you extra money and keep you involved in languages (while keeping your brain fresh and letting you reap the benefits of bilingualism). The growing presence of online businesses, platforms and marketplaces has dramatically increased opportunities for extra income. 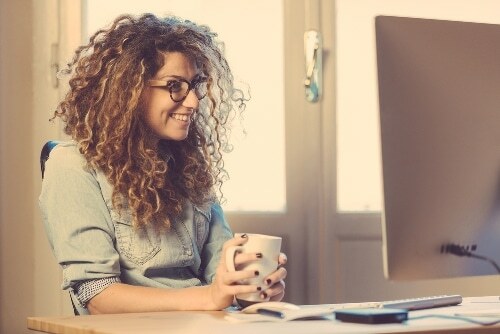 For professionals with full-time work commitments and those soon-to-become professionals, here are 10 ideas to earn some extra money without compromising your 9-to-5. Most students look for time slots in the late afternoons or on weekends, which can fit perfectly around any 9-to-5 commitment. As for pay, there’s quite a range here in terms of what you can charge. In metropolitan cities, the average is between $25 and $80 an hour, while in more suburban areas it’s between $12 and $50. Tutoring online is also an easy and lucrative option, as you can teach from your home or anywhere you have an Internet connection. Craigslist can be a great way to start by creating your own ad to promote your tutoring business. Other popular options with often reliable referral streams are Varsity Tutors and WyzAnt, among others. WyzAnt is a great recommendation if you’re looking to teach sessions in-person. This website has grown quite competitive in the last couple of years as the company continues to hire progressively more experienced tutors, who often wind up competing against each other—especially if they’re listed to tutor the same language in the same area! That being said, this competition allows you to request the rate that you’re worth, you won’t need to lowball others and get paid less than you’d like. If you’re more interested in teaching online, Verbling is the way to go. There’s a huge user base, and if you’re able to teach a less common language, then you’ll find a lot of students heading your way. It also simplifies the whole online teaching experience, streamlining your online classroom so you have no need for Skype or another third-party software—you can set up your teaching schedule, advertise your skills, communicate with students and hold classes right on this site. With your bilingual or multilingual skills, there’s also money in taking side jobs translating articles, books, websites and other forms of text. The most common way to land these positions is through word-of-mouth, and there’s a big market for it. That said, it’s not exactly easy or simple, as many international businesses often prefer to hire people from lower income countries, where they can pay less for the same job. Standard rates are around 10 cents a word; you may earn more if the text is specialized, technical or scientific. If you have friends, family, or colleagues who are expanding their businesses internationally, helping them translate marketing materials can be an awesome supplement to your income. You can also try listing your services on online freelance boards, like Upwork. The mobile market outpaced computer use in 2014 and 80% of Internet users now own smartphones. There’s clearly a growing demand, and some say apps are the future of everything! The CEO of Apple, Tim Cook, recently stated in a keynote that he believes the future of TV is apps as well, which further expands app possibilities beyond the iPhone and iPad and onto the big screen in the living room. Of course, this option can require a bit more of a time commitment. You’ll need to do your research, as your app will need to stand out among competition. If you’re not tech-savvy, you may also need to find and hire someone to bring your idea to life. If you create an app, depending on the number of people who download it and how much you charge for it, you can make between $5 and $12,000 monthly. Apple’s iOS platform is the most popular, and despite their commission charges, 25% of its app developers make over $5,000 a month! Do you love to write? Do you have something to share about languages, or maybe even international travel you’ve done? Personal blogs can now easily include advertisements and links to Amazon products, which can generate income as people browse ads and click links from your blog. Advertising revenue varies greatly depending on your traffic, so you’ll need to spend a lot of time building your audience first. If you look for paid freelancing opportunities, you’ll notice many companies and websites pay between $10 to $100 for articles. We’ve all heard about the popular YouTube stars making tons of money—and while it certainly takes work to get to that status, there’s an opportunity to earn revenue from your own personal videos. Anyone can create digital video clips for free through their Google accounts, for example, and earn between .08 and 26 cents for every advertisement view. While this may sound like a small amount, it can easily add up. That said, it’s important to clarify that what makes the money isn’t the video-viewing or clicking itself, but the advertisement viewing. The more viewers engage with the ad (the longer they watch it), the more you’ll make. It also depends on your target keywords, so you may want to do some research on that. Many companies and schools pay tutors to create problem quiz sets for language courses. Any creative or innovative language worksheets, e-books or other pedagogic materials can become dollar signs. The skill here, beyond creating unique and quality material that facilities learning, is in the marketing. Pay rates depend on demand and can range from $5 to the thousands. Some companies only take between 6.5% to 10% commission and the rest is yours! Many universities, schools and testing centers, such as ETS (they administer the GRE and SAT), outsource their grading for the Spanish AP test, for example. Many of them hire from 5 pm to 9 pm (online as well) in the month of May, for example, which is great temporary work to supplement income! To find and apply for these positions, search ETS as well as websites like HigherEd Jobs. Others often post to Craigslist, too. These gigs usually pay between $13 and $40 an hour. Many museums are open to hosting courses and easily attract returning students. These gigs can pay between $12 to $45 an hour, or a few hundred to thousands for full course contracts. Community colleges also offer many languages classes, and may be more likely to hire teachers without teaching credentials. Teaching opportunities abound as more schools and universities see the value in taking students abroad. Depending on your availability, you might consider leading a short-term trip, such as one during a spring break. Check job boards or connect with local schools to see what opportunities are available. You can visit the websites for the study abroad programs themselves and see what’s being offered. For instance, check out Experiment in International Living or Organization for Tropical Studies. And if you’re a college student returning from an awesome study abroad experience yourself, see if your university hires campus ambassadors to promote study abroad programs! After Chinese, English is the most spoken language in the world. If you have a bigger window of availability—perhaps you’re taking a gap year before entering college, for example—consider going abroad to teach English! Many programs hire people without any prior teaching experience. If you’re not sure how to get started, check out the resources on Teach English Abroad. They offer TEFL (Teaching English as a Foreign Language) courses and paid internships as well as jobs and travel opportunities. Another big perk is the opportunity to save money while you’re living abroad. In China, for example, many English teachers are able to save $500 to $1,500 monthly teaching English after paying off all their expenses. Of course, you’ll need to do some research—contract length and what’s provided for you can vary. Take advantage of these growing opportunities to keep your language acumen solid and your brain sharp—and profit from it all, too! Jason Linder, MA, is a Spanish tutor with TakeLessons, the leading online marketplace for finding lessons and classes in languages, music and more. Check out the full language guides and resources and start learning today! As a savvy language learner, you’ll love using FluentU to keep your language skills fresh and always growing. FluentU makes it possible to learn languages from music videos, commercials, news and inspiring talks.